Gottex "Sea Romance" coverup dress in silk woven fabric. 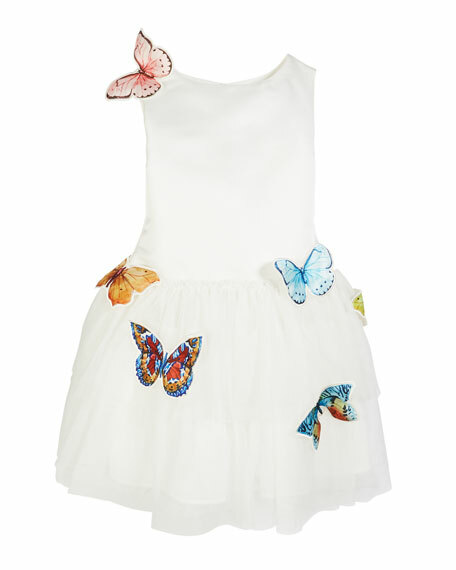 Model's measurements: Height 5'8"/173cm, bust 32"/81cm, waist 24"/61cm, hips 34.5"/88cm, dress size US 0/2. For in-store inquiries, use sku #2394783. 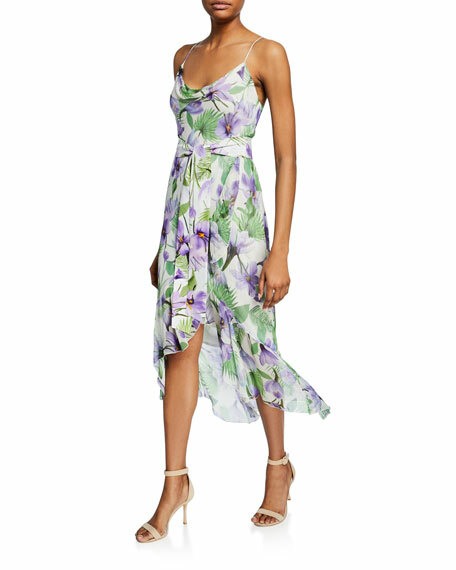 Alice + Olivia "Tevi" floral pattern dress with waist tie. Cowl neckline. Spaghetti straps. A-line silhouette. Asymmetric hem. Back zip. Shell, viscose. Combo, silk. Lining, polyester/spandex. Made in USA of imported material. Andrew Gn dress in stretch crepe, featuring contrast lace trim. Crew neckline. Long sleeves. Shift silhouette. Fringe hem. Mini length. Viscose/acetate. Viscose/polyester/spandex lining. Made in Italy.